A real night-owl, Isidore’s wide eyes see it all while the stars are twinkling in the sky. As an adorable hand puppet, Isidore will brighten the evening with his colourfully striped bloomers and put any nighttime woes to bed. Night is a fun time for storytelling, not something to be feared! 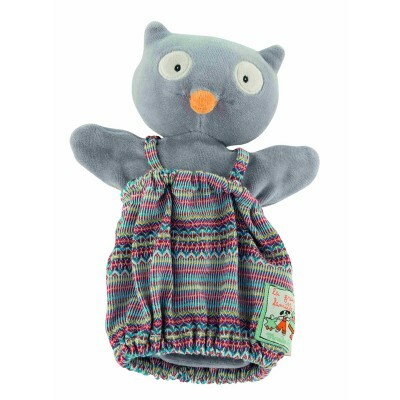 Measuring 10-inches tall and perfect for children aged 1+, this puppet is double lined and incredibly soft. If your little one comes down with a cold or has taken his owl on one too many adventures, don't fret - all of the La Grande Famille puppets are machine washable.